In 475 AD, the last official Western Roman Emperor, Julius Nepos, was forced to flee his throne amidst a rebellion led by his own magister militum, Orestes. While the latter tried to promote his son, Romulus Augustulus, as the unofficial new Western Emperor, the Germanic mercenaries taking part in the rebellion had a different idea. In 476 AD, those foederati, disillusioned at not receiving their promised war booty, put forward one of their own - not as an Emperor, but rather as rex, or King - Flavius Odovacar (433? – 493 AD). Odovacar, who was of uncertain Germanic descent (some argue he was a Hun), took up the challenge. He rebelled against Orestes, and deposed usurper Romulus Augustulus. Odovacar then proceeded to return all the imperial insignia to the Eastern Roman Emperor, Zeno. For his efforts, Odovacar requested for himself the title of patricius, and rule over Italy in Constantinople’s name. While Zeno wasn’t ready to completely give up on the chance of Nepos’ return, he provided, at least at the time, tacit approval of Italy’ regime change. Beyond popular acclamation and Zeno’s implied support, Odovacar also had backing from the Western Roman Senate. He is often described as “Italy’s first King” – at least, the first in post-Roman imperial times. (It should be noted that two millennia earlier, prior to the old Roman Republic, the region was ruled by the even older, if semi-mythical, Roman Kingdom). Odovacar consolidated his base of power, even managing to wrest back control of Sicily from his pesky rival to the south, Vandal King Genseric. After Julius Nepos’ murder in 480 AD, Odovacar leveraged the situation to conquer Dalmatia on the pretext of revenge. Within its first decade, Odavacar’s kingdom held hegemony over the Italian peninsula and its surrounding seas. Even if he fancied himself as king, Odovacar upheld many of Rome’s imperial traditions, for instance striking coins. 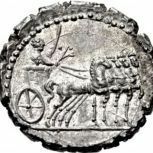 Such issues were produced in Ravenna, where Odovacar maintained his capital, as did his predecessor Western Roman Emperors. 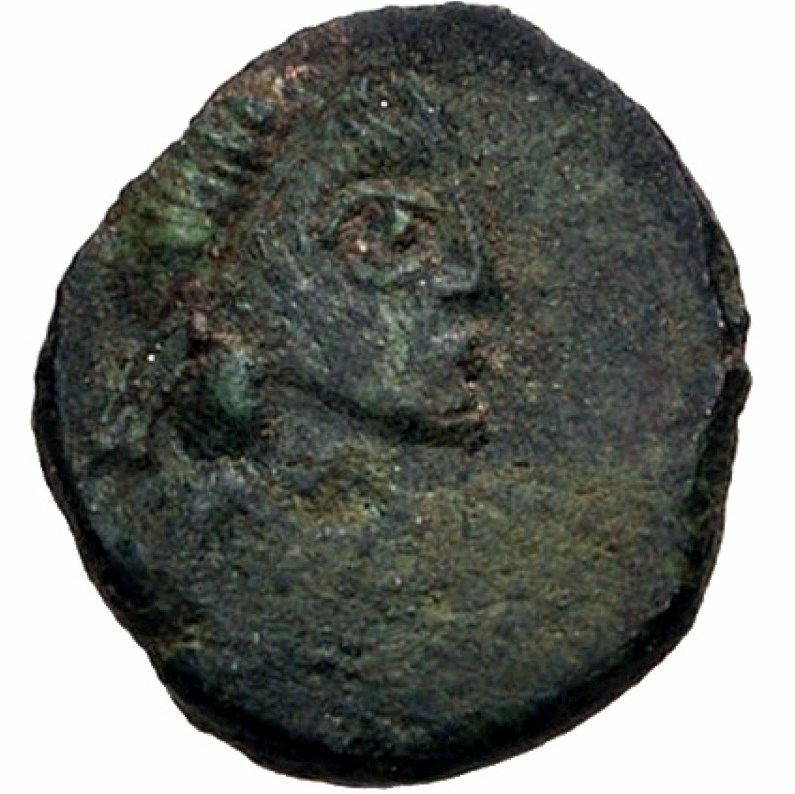 The majority of such coins were struck in the name of Eastern Roman Emperor Zeno, for instance gold solidi, and uncertainty lingers regarding their attribution. 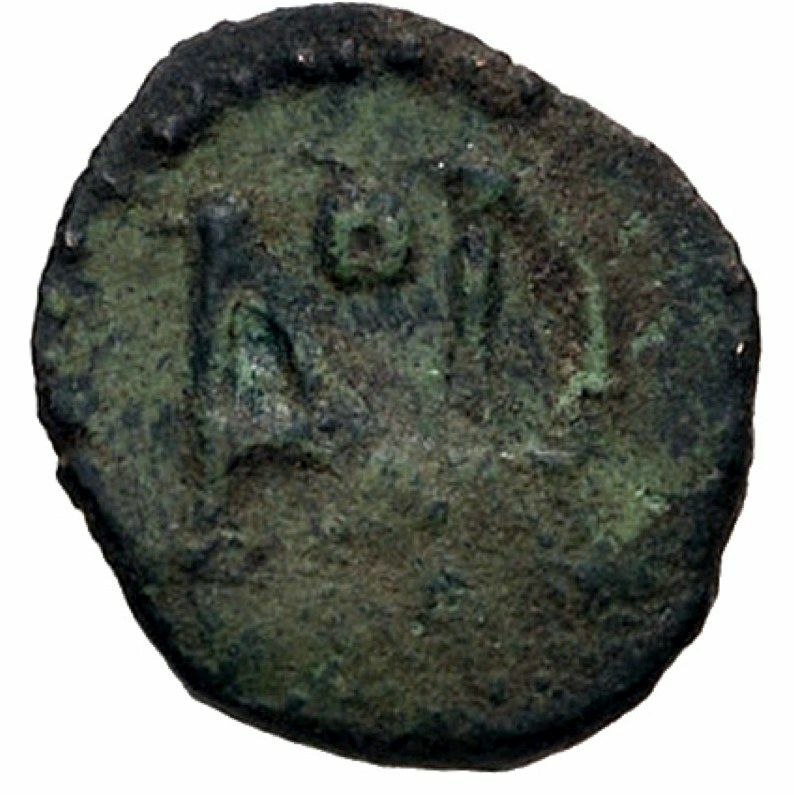 Sometime perhaps after mid 480s AD, Odovacar struck coins in his own name. This development may have coincided with increasingly strained relations with Constantinople; however, these issues were limited to bronze and silver, seemingly in acknowledgment of gold as the prerogative of the Eastern Roman Emperor. In any case, all of Odovacar’s coins are exceedingly rare, particularly those struck in his own name. This coin, remarkably well-preserved for a bronze of the period, provides an example. The obverse features a well-defined bust of the rex Italiae, though notably absent of any regal inscription or diadem. The coin’s most important feature, however, is found on the verso – Odovacar’s unmistakable monogram. Odovacar proved a victim of his own success. His increasing power increasingly attracted Zeno’s attention, and ultimately, concern. To shift back the balance of power, Zeno recruited the assistance of Flavius Theodericus, leader of the Ostrogoths. With the backing of Constantinople, where he was raised and educated, Theoderic waged war against Odovacar for control over Italy. After years of battle, including a multi-year siege of Ravena, Odovacar was finally forced to surrender. Additional Reading: “Odovacar and the Ostrogothic Kings,” and “Coinage of Odovacar” in Coinage of the Ostrogoths in the British Museum, Elena Baldi. Coin Details: GERMANIC, Odovacar, King, AD 476-493, Æ (9mm, 0.49 g, 12h), Ravenna, NGC Grade: XF, Strike: 4/5, Surface: 4/5, Obverse: Bareheaded, [draped, and cuirassed] bust right, [ODO-VAC]?, Reverse: Odovacar monogram, References: Morello 22; RIC X 3502; Ranieri 235. Thank you for that very interesting historical write-up. You are welcome, and I really appreciate you comment. This sort of feedback helps motivate me to complete my research and posting of Owner's Comments on *all* the coins in my Roman Empire collection. It has been an amazing journey of exploration and learning for me; so far, I have completed researching and posting Owner's Comments on about 90% of the coins in my collection (of course, I am still growing the collection, albeit very slowly at this point). To that end, I will continue to keep up this journal, so that anyone interested can be advised when I update my collection.